There is a lack of written evidence on this district. The records by Munshi Abdullah in his book, Kisah Pelayaran Abdullah ke Kelantan, and Tuhfat al-Nafis by Raja Ali Haji touched a bit on Besut. Due to this, there are many stories that tell the matters regarding the origin of Besut. Besut is governed by Besut District Council (Malay: Majlis Daerah Besut). As of 2009, there are approximately 152,800 people in Besut, of various ethnicity, with the Malays being the majority. Other ethnics include Chinese and Siamese. Most Malays in Besut identify themselves with Kelantanese identity rather than the Terengganuan identity. One of the prominent examples is that they tend to speak Kelantan Malay instead of Terengganu Malay like in most parts of Terengganu. Besut has education institutions which are developed by both the central and Terengganu state governments such as, Universiti Sultan Zainal Abidin Darul, Institute of Teacher's Education Sultan Mizan Campus, MARA Junior Science College (Kota Putra & Besut), Kolej Komuniti Besut, and Sekolah Menengah IMTIAZ, among others. There are a number of travel destinations that are located here, many of them islands or beaches. The most popular of all tourist sites in Besut are Perhentian Islands, one of the top island destinations in the world according to the CNN. Perhentian Islands lie about 10.8 nautical miles (20 km) to the north east of Kuala Besut and are made up of islands such as Perhentian Besar, Perhentian Kecil, and Susu Dara. The islands are well known for their tropical reefs, scuba diving, and snorkeling. 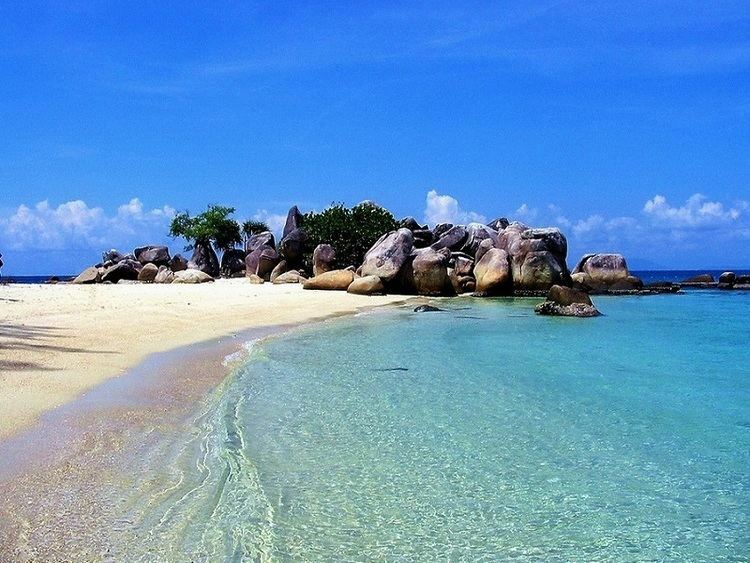 Besides Perhentian Islands, beaches are also among the top local places to visit. The beaches here are Pantai Air Tawar, Pantai Dendong, and Pantai Bukit Keluang. In the interior parts of the district, visitors can experience the tropical forest in areas such as Lata Tembakah and Lata Belatan, or climb the 1039m-high Gunung Tebu (Mount Tebu). Tourists can also enjoy bathing in the natural hot springs of Kolam Air Panas La or La Hot Springs. The water here contains sulphur and can reach 49 °C.